Q) What is the Display Size and resolution on the Nokia 5? Q) What is a Processor on Nokia 5? Q) Rear Camera on Nokia 5? Q) Nokia 5 how much MP is the front camera? A) No, Nokia 5 does not feature a removable battery. Q) Nokia 5 have NFC? Q) What are sensors on Nokia 5? Q) Is the display on the Nokia 5 protected by Gorilla Glass? 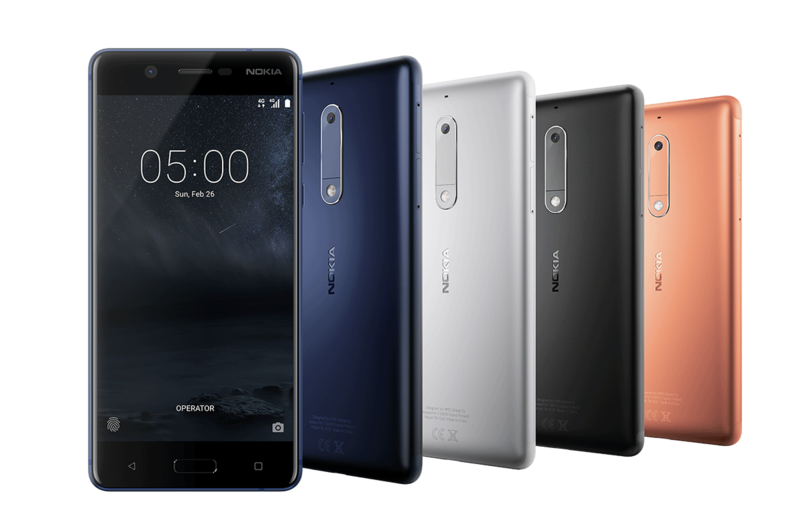 Q) Where is the fingerprint scanner on the Nokia 5 located? Is it touch based? A) The fingerprint scanner on the Nokia 5 is located on the front, and yes, it is touch based. Q) How many fingerprints does the Nokia 5 support? Q) Nokia 5 will get Android O Update? Q) Does the Nokia 5 support LTE and VoLTe? Will a Reliance Jio SIM work on the phone? Q) How much is Battery on Nokia 5? Q) Connectivity options on Nokia 5? Q) Dimensions of Nokia 5? Q) In which color Nokia 5 will be available? Q) From when Nokia 5 will go on sale and Price?